Wakanda’s fiercest warriors will steal the spotlight in a series of one-shots by award-winning science fiction author Nnedi Okorafor (Binti, Who Fears Death, Lagoon). The first issue, Wakanda Forever: Amazing Spider-Man #1, is drawn by Alberto Jimenez Alqurquerque (Jean Grey) and will be on sale June 27. 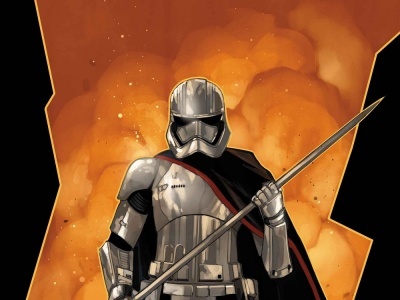 Terry Dodson provides the cover. 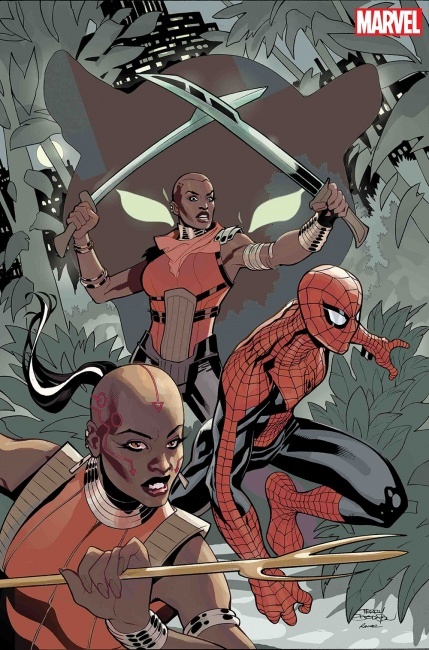 In Wakanda Forever: Amazing Spider-Man #1, a Wakandan threat draws Dora Milaje Okoye, Ayo, Aneka to New York City, where they encounter friendly neighborhood webslinger Peter Parker. 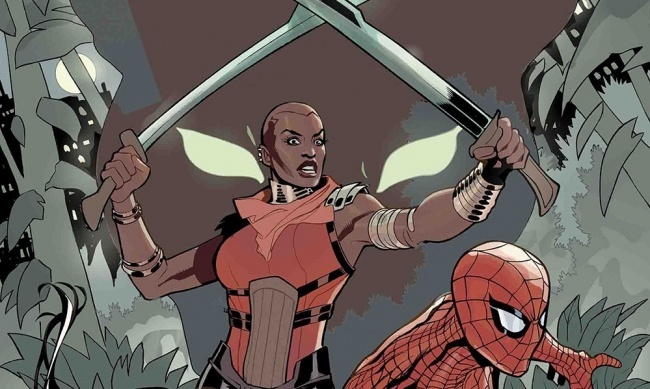 Wakanda Forever: Amazing Spider-Man #1 will be followed by Wakanda Forever: X-Men and Wakanda Forever: Avengers in July and August. Okorafor is known for Africa-based science fiction stories, many of which are inspired by the folklore of Nigeria, the home country of her parents. 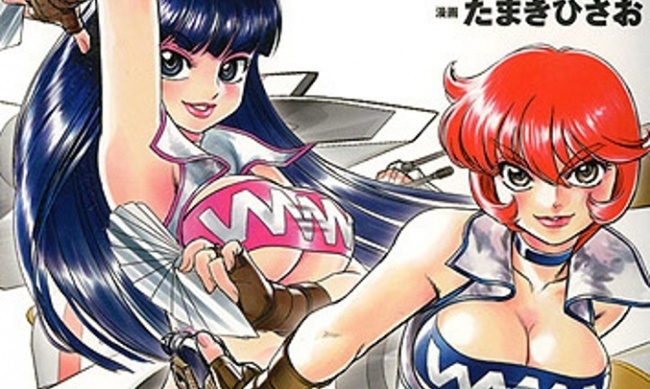 Wakanda Forver isn’t Okorafor’s first work for Marvel. She previously contributed the story "Blessing in Disguise," a Lagos-set 8-page comic, to the Venomverse anthology, and she wrote the six-issue digital comic Black Panther: Long Live the King. 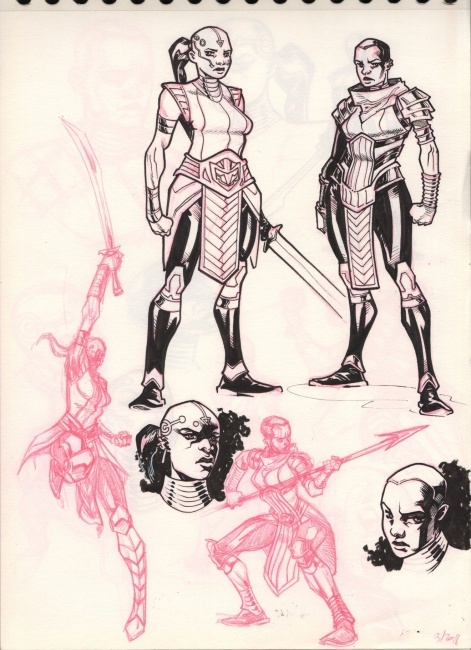 Interest in the comic should be driven by the popularity of Okoye and the Dora Milaje in the Black Panther film. The film has sat at the top of the charts for four weeks now, bringing in more than $1 billion worldwide (see "'Black Panther' Is the First MCU Film to Win 4 in A Row").